We can`t deny it, in our lives there`s no one more important than our beloved mum. And Mother`s Day is such a special occasion to show her our deep love. Take this chance to choose between one of our wonderful Jewellery Gift Sets, I`m sure she will be delighted! Each set is hand-made especially for The Earring Collection in Hallmarked Sterling Silver, Mabe Pearls, Mother of Pearl and Siberian Quartz. Plus, they all come beautifully presented in gift boxes with silk ribbons- ready to be given and received. 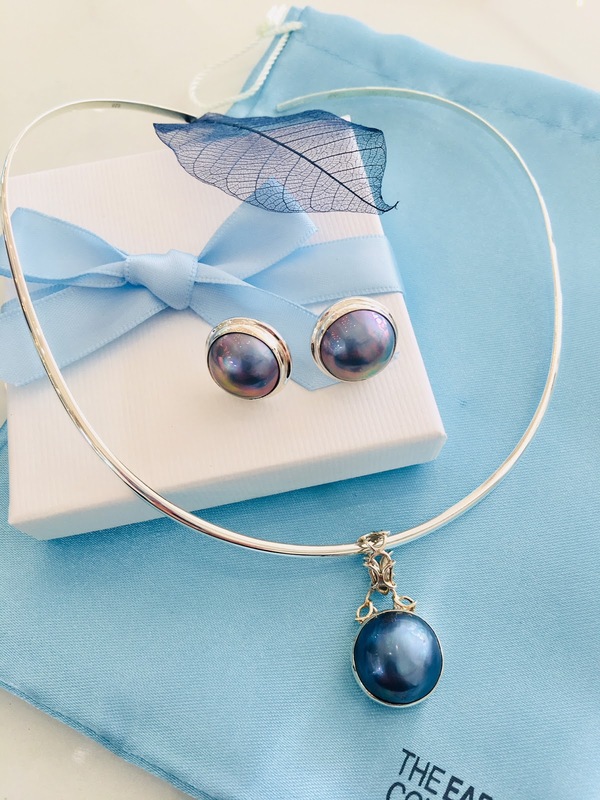 This gorgeous and elegant set comprises a pair of Sterling Silver & Blue Mabe Pearl stud earrings, a matching pendant and one of our Hallmarked silver Collars - all presented in a beribboned gift box - all for £240. 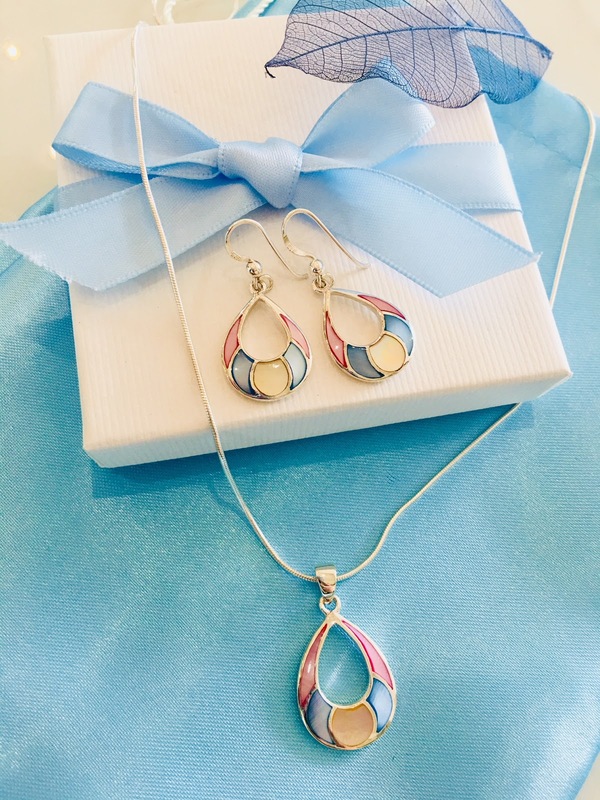 This stunning Sterling Silver & Colourful Mother of Pearl Jewellery set comprises a beautiful pendant, a pair of matching drop earrings and an Italian silver snake chain, all presented in our lovely gift box. A superb suite in Sterling Silver and Siberian Quartz. 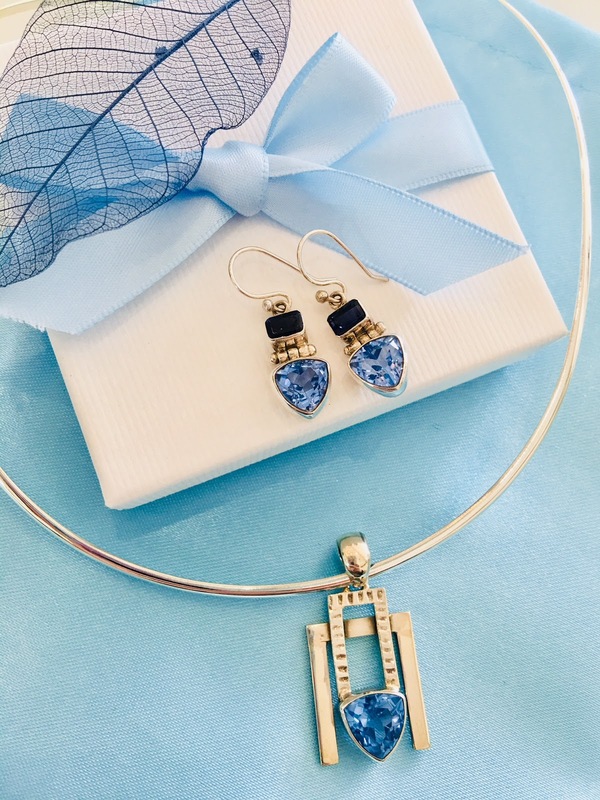 With this lovely contemporary set you will get a pair of drop earrings in Siberian quartz and Iolite, a stunning design pendant and one of our Hallmarked Sterling Silver collars. 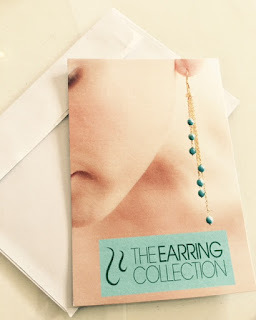 If you really can`t choose, then why don`t you opt for an Earring Collection Gift Voucher, a great opportunity to give someone the chance to indulge themselves in beautiful jewellery! The Earring Collection 120 High street, Cowes or call 01983243055. Open Tuesdays, Thursdays, Fridays and Saturdays.